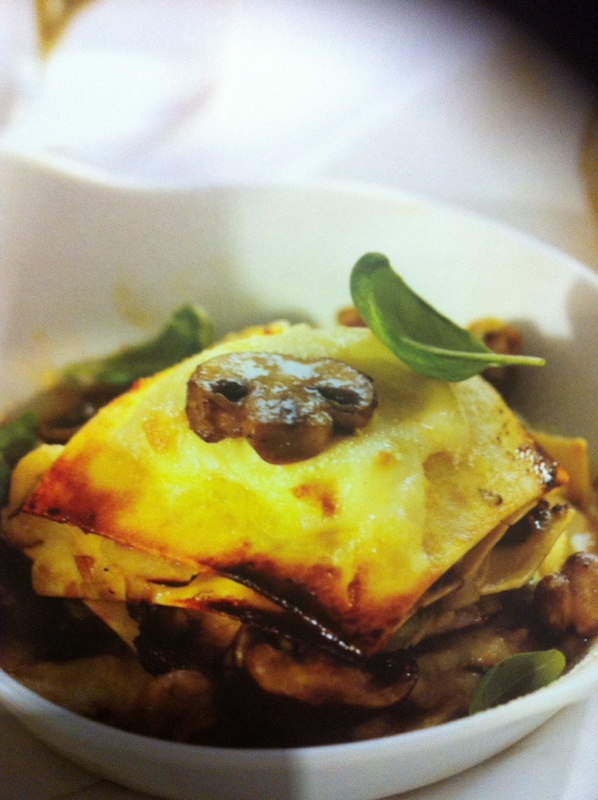 Supplement ordinary mushrooms with chestnut, chanterelle, portobello, oyster, porcini or shiitake mushrooms to make this lasagne a taste sensation. For the pasta, cook lasagne according to package instructions. If using a no-cook variety, blanch in boiling water for 2 minutes. Drain and lay out on a tea towel or greaseproof paper. Meanwhile, heat the olive oil in a saucepan, then add the onion and cook over medium-high heat for 5 – 7 minutes until the onion is soft. Add the garlic, mushrooms, leeks and thyme and cook over low heat until the mushrooms are tender. Increase the heat, add the wine, allow to bubble for 2 minutes, then remove from the heat. Stir in the tamari and salt and pepper to taste. Make the bechamel sauce, then stir in the nutritional yeast. To assemble the lasagne, pour bechamel sauce over the bottom of a dish to form a thin layer, over with a layer of pasta, coat with 1/3 of the bechamel sauce, followed by half the mushrooms, sprinkle with a 1/3 of the “Parmesan”; repeat, finishing with a generous coating of “Parmesan”. Cook for 30 minutes, then increase the heat to 200’C (400’F / 7 Gas) and continue to cook until golden brown. Prepare the basic recipe, adding 225 g (8 oz) grated non-dairy “cheese” to the bechamel sauce. Prepare the basic recipe, adding 2 sliced fennel bulbs, blanched for 5 minutes, with the mushrooms.